Use the included Space Case scraper triangle to help remove material caught in the screen or crevices. The approximate external diameter is 2 3/8 inches with an approximate height of 1 7/8 inches. Genuine SpaceCase Grinder Sifters are made in the USA from the finest materials and finished to perfection and as such cost a little more. Be careful of cheap knock-offs because only the real ones are guaranteed for life!. 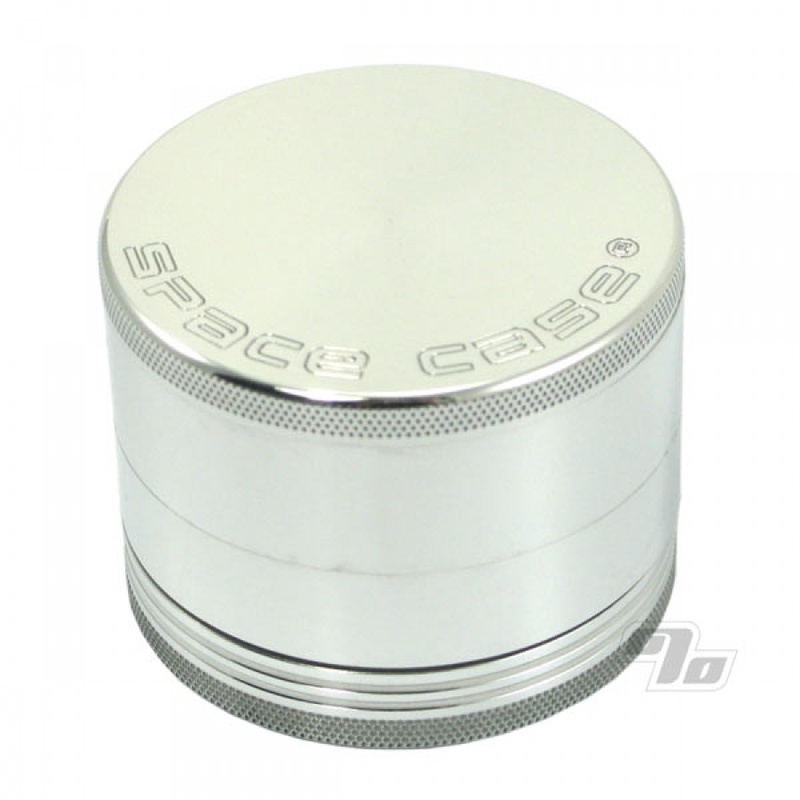 I have the small Spacecase grinder and I like the texture of the grind a lot better than this one, but it is quicker if you're doing large quantities (for butter etc). I also think the holes for the ground "product" to fall into the lower chamber are too big. As the others have mentioned, easy and fast. A big upgrade from cheaper imports! The grinder, is so smooth, only 3 turns and everything is ground up properly, alot of space for your grinding needs, also the sifter work really well, does not clog up like the other cheap grinders. Grinds and crushes with ease and the sifter part is totally worth the extra cash. When I used to grind with my fingers, all that pollen pretty much went wasted as you wiped or washed your hands but no more. Now saving all of it to put in my Space Case Pollen Press. The medium is just the right size in my opinion. FYI, I turn it upside down at first when I grind. 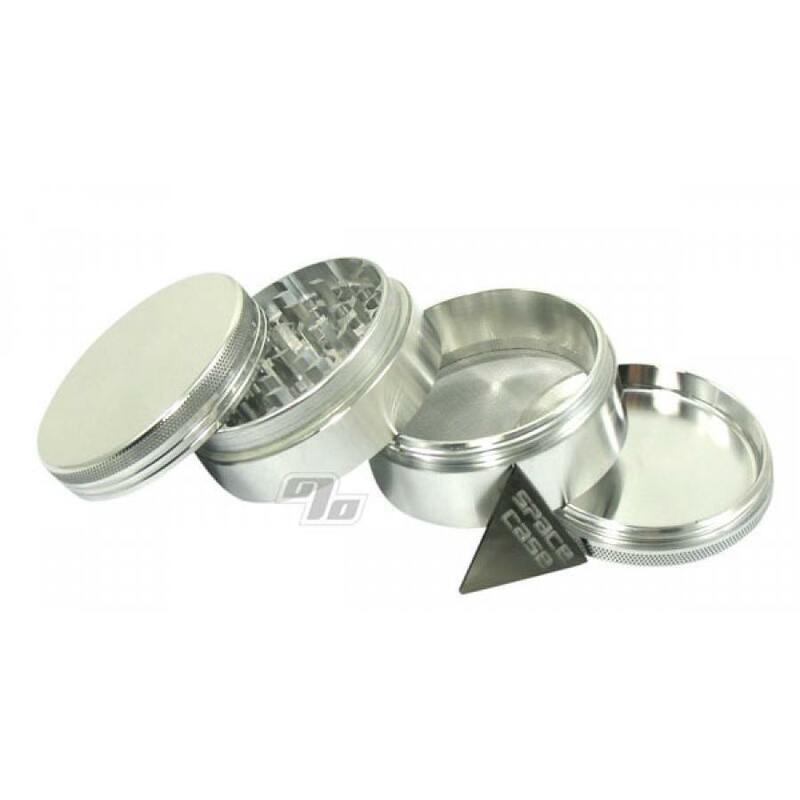 Makes the sifting part easier and really gets it down to finer particles to aid when using your vaporizer.